PCR targeting the Bartonella 16S-23S intergenic spacer (ITS) region was used in conjunction with BAPGM (Bartonella alpha Proteobacteria growth medium) enrichment blood culture to determine the infection status of the family members and to amplify DNA from spiders and woodlice. Antibody titers to B. vinsonii subsp. berkhoffii (Bvb) genotypes I-III, B. henselae (Bh) and B. koehlerae (Bk) were determined using an IFA test. Management of the medical problems reported by these patients was provided by their respective physicians. In this investigation, immediately prior to the onset of symptoms two children in a family experienced puncture-like skin lesions after exposure to and presumptive bites from woodlouse hunter spiders. Shortly thereafter, the mother and both children developed hive-like lesions. Over the ensuing months, the youngest son was diagnosed with Guillain-Barre (GBS) syndrome followed by Chronic Inflammatory Demyelinating Polyradiculoneuropathy (CIDP). The older son developed intermittent disorientation and irritability, and the mother experienced fatigue, headaches, joint pain and memory loss. When tested approximately three years after the woodlouse hunter spider infestation, all three family members were Bartonella henselae seroreactive and B. henselae DNA was amplified and sequenced from blood, serum or Bartonella alpha-proteobacteria (BAPGM) enrichment blood cultures from the mother and oldest son. Also, B. henselae DNA was PCR amplified and sequenced from a woodlouse and from woodlouse hunter spiders collected adjacent to the family’s home. Although it was not possible to determine whether the family’s B. henselae infections were acquired by spider bites or whether the spiders and woodlice were merely accidental hosts, physicians should consider the possibility that B. henselae represents an antecedent infection for GBS, CIDP, and non-specific neurocognitive abnormalities. The genus Bartonella is composed of fastidious, Gram-negative and aerobic bacilli belonging to the Alpha proteobacteria group. Bartonella species (spp.) are hemotropic, arthropod-borne bacteria that cause long-term bacteremia in mammalian reservoir hosts [1, 2]. During the past decade, there has been a dramatic increase in the number of new Bartonella species that have been discovered among diverse animal reservoir hosts in geographical regions throughout the world. Since 1990, over thirty Bartonella species and sub-species have been characterized and named, with many other putative species yet to be described. Globally, these bacteria reside in diverse ecological niches; many cause persistent intravascular infection in reservoir hosts and 17 Bartonella spp. have been associated with an expanding spectrum of human and animal diseases, ranging from acute febrile illnesses to more severe disease manifestations, including encephalopathy, endocarditis, myocarditis, sensory and motor neuropathies, pleural and pericardial effusion, pneumonia, granulomatous hepatitis and hemolytic anemia [3–7]. The natural history for seemingly all Bartonella spp. consists of one or more reservoir hosts and one or more transmission competent arthropod vectors. A vertebrate, generally a mammal, sustains a chronic intravascular infection, which in some instances is associated with a relapsing pattern of bacteremia. The persistently infected host serves as the blood reservoir for perpetuation of the transmission cycle, with an arthropod vector transferring the bacteria from the reservoir host to a susceptible uninfected host . Most vectors for Bartonella spp. are arthropods. The vector for B. quintana is the body louse (Pediculus humanus and potentially Pediculus capitis) and for B. bacilliformis is the sandfly (Lutzomyia verrucarum). Fleas (for example Ctenocephalides felis on cats and dogs) play a major role in the natural transmission cycle for many bartonellae, especially B. henselae among pets and wildlife [9, 10]. There is also a growing spectrum of arthropods that have been implicated as potential vectors for Bartonella species. Genetic diversity and bacterial strain variability appear to enhance the ability of Bartonella spp. to infect not only specific reservoir hosts, but also accidental hosts, as has been shown for B. henselae. Because neurological abnormalities developed in both children after woodlouse hunter spider bites were suspected by their parents, a family from Kentucky was directed to our laboratory for inclusion in a Bartonella research study. Three family members were B. henselae seroreactive and B. henselae DNA was amplified and sequenced from the mother and older son’s blood, and from a woodlouse and woodlouse hunter spiders. Prior to moving to a new apartment housing location in suburban Louisville, Kentucky on May 1, 2008, all four family members were healthy and had normal sleep patterns. Two months earlier, while in a previous apartment, a bat was removed by an exterminator. Although the bat was flying free within the apartment when the family awakened, there was no indication of bite wounds. The family’s dog had also experienced a flea infestation prior to moving to the new apartment. The family dog was the only pet, there was no history of family members experiencing bites or scratches and no flea infestations were reported after moving into the new apartment or subsequently to a new house in the same neighborhood. In July 2008, their new apartment flooded, after which there was a large influx of woodlice (order Isopoda). Subsequently, the mother reported seeing occasional wood louse hunter spiders (Dysdera crocata) in the apartment, including in the children’s beds and on the children. During August 2008, the parents suspected that both sons (5 months-old and 5 years-old, respectively) were bitten by woodlice hunter spiders. The mother (41 years-old) did not knowingly experience any spider bites. After the apartment was treated by an exterminator, no woodlice or woodlice hunter spiders were observed in or around the apartment. Subsequently, the mother and both sons developed recurrent rash-like skin lesions, disruptive sleep patterns and both boys developed anxiety accompanied by episodes of inconsolable crying, irritability, and panic attacks. In July 2009, the oldest son was examined by a surgeon because of enlarged lymph nodes in the neck. Over the ensuing months, the mother developed symptoms, including fatigue, headaches, joint pain, eye pain, insomnia, memory loss, disorientation, irritability, weakness in the upper extremities and loss of sensation to both legs. In May 2010, as detailed in the case report below, the youngest son was diagnosed with Guillain-Barre syndrome (GBS), and subsequently with Chronic Inflammatory Demyelinating Polyneuropathy (CIDP). After contacting the corresponding author and describing the family's medical history, the mother elected to enter her sons and herself into an ongoing study regarding Bartonella spp. infection in patients with arthropod and animal exposures. (North Carolina State University Institutional Review Board approval IRB 1960-11). Beginning in August 2011, blood and serum samples from the mother, both sons and the dog were submitted for Bartonella testing. As the parent’s initial concerns related to the youngest son’s CIDP diagnosis, this child was tested in August 2011, followed by the mother and dog in November, and the oldest son in April 2012. The father did not recall being bitten by a spider himself, remained healthy during the course of this investigation and was never tested for evidence of Bartonella sp. infection. Over a one-year period (2011–2012), spiders, identified as wood louse hunter spiders (Dysdera crocata), and several woodlice (Isopoda order) collected from around the family’s new house (located three miles from the spider infested apartment) were submitted by express mail for manual DNA extraction and Bartonella PCR. Aseptically obtained EDTA (ethylene diaminetetraacetic acid)-anti-coagulated blood and serum samples from the family, their dog, whole spiders and woodlice collected from around the apartment in Kentucky, were submitted to the North Carolina State University College of Veterinary Medicine Intracellular Pathogens Research Laboratory (NCSU-CVM-IPRL) for Bartonella testing. Collection and analyses of these data were conducted in conjunction with North Carolina State University Institutional Review Board approval (IRB no. 1960-11). Bartonella vinsonii subsp. berkhoffii genotypes I, II, III, B. henselae (Houston 1strain), B. henselae (San Antonio 2 strain), and Bartonella koehlerae antibodies were determined in the Intracellular Pathogens Research Laboratory (IPRL) following traditional immunofluorescence antibody assay (IFA) practices with fluorescein conjugated goat anti-human IgG (Pierce Biotechnology Rockford IL), as described in previous studies from our laboratory [12–14]. Bartonella organisms of feline isolates of B.koehlerae (NCSU 09FO-01) and B.henselae H-1 (NCSU 93FO-23), B. henselae SA2 (NCSU 95FO-099) and canine isolates of B.vinsonii berkhoffii genotype I (NCSU 93CO-01), II (NCSU 95CO-08) and III (NCSU 06CO-01) were passed from agar grown cultures into cell cultures to obtain antigens for IFA testing Heavily infected cell cultures were spotted onto 30-well Teflon coated slides (Cel-Line/Thermo Scientific), air dried, acetone fixed and stored frozen. Serum samples were diluted in phosphate buffered saline (PBS) solution containing normal goat serum, Tween-20 and powdered nonfat dry milk to block non-specific antigen binding sites. Sera were screened at dilutions of 1:16 to 1:8192. To avoid confusion with possible non-specific binding found at low dilutions and to standardize with other laboratories such as the CDC, a cutoff titer of 1:64 was used to define a seroreactive titer. A previously described approach that combines PCR amplification of Bartonella spp. DNA from blood, serum and enrichment BAPGM (Bartonella alpha Proteobacteria growth medium) enrichment blood culture was used to test EDTA-anti-coagulated whole blood and centrifuged serum samples [4, 13, 15–17]. DNA was automatically extracted from 200 ul of EDTA-anticoagulated blood, from serum and from 200 ul of BAPGM enrichment blood culture, using a BioRobot Symphony Workstation and MagAttract DNA blood kit (Qiagen, Valencia, CA). Prior to extraction of DNA from the woodlice and wood louse hunter spiders, each individual specimen was washed twice using 2 ml of dH2O followed by a single wash with 95% ethanol. For DNA extraction, the entire body of each arthropod was pulverized to a fine powder by bead-beating using stainless steel beads. DNA from spiders and woodlice were manually extracted using DNeasy blood and tissue mini kit following manufacturer’s instructions (Qiagen, Valencia, CA). Bartonella DNA was amplified using conventional Bartonella genus PCR primers targeting the 16S-23S intergenic spacer region (ITS) as previously described [18, 19]. Bartonella genus PCR was performed using oligonucleotides 425 s (5′CCGGGGAAGGTTTTCCGGTTTATCC 3′), 325 s (5′ CCTCAGATGATGATCCCAAGCCTTTTGGCG 3′) and 1000as (5′ CTGAGCTACGGCCCCTAAATCAGG 3′) as forward and reverse primers, respectively. Amplification was performed in a 25-ul final volume reaction containing 12.5 uL of MyTaq Premix (Bioline), 0.2 uL of 100 umol/L of each forward and reverse primer (IDT®DNA Technology, Coralville, IA, USA), 7.3 uL of molecular grade water, and 5 uL of DNA from each sample tested. Conventional PCR was performed in an Eppendorf Mastercycler EPgradient® (Eppendorf, Hauppauge, NY, USA) under the following conditions: a single cycle at 95°C for 2 s, followed by 55 cycles with DNA denaturing at 94°C for 15 s, annealing at 66°C for 15 s, and extension at 72°C for 18 s. The PCR reaction was completed by a final cycle at 72°C for 30s. All PCR reactions were analyzed by 2% agarose gel electrophoresis. Amplicons obtained from arthropod and human samples were sequenced to identify the Bartonella sp. and ITS strain type. Bacterial species and strains were defined by comparing similarities with other sequences deposited in the GenBank database using the Basic Local Alignment Search Tool (Blast version 2.0). Photographs taken by the parents during the woodlouse and woodlouse hunter spider infestations. Puncture-like bite lesions were observed in the skin overlying the mid humerus (A) and proximal femur (B). In May 2010, about a month after an upper respiratory infection, the boy was unable to climb stairs. His parents brought him to an emergency room, where it was noted that he was unable to stand from a seated position on the floor. A lumbar puncture revealed an elevated CSF protein of 110 (normal 15–45) with 4 white blood cells. An MRI of the spine demonstrated enhancement of the ventral nerve roots and pial enhancement from the 11th thoracic vertebrae through the remainder of the spinal cord. Neurological examination was significant for areflexia and weakness in the lower extremities. Guillain-Barre Syndrome was diagnosed and he was treated with 2 grams per kilogram of intravenous gammaglobulin (IVIG) over 4 days. He improved rapidly and was discharged following the infusions. When re-examined one month later, his leg strength was judged to be improved to 85% of normal and no further treatment was given. By July 2010, he was less able to walk without stumbling and was unable to stand from a seated position. He also complained of tingling and discomfort around his mouth and pain in the legs. IVIG was administered at a dose of 1 gram/kilogram on each of 2 days. Electromyelogram (EMG) findings were consistent with chronic sensory motor demyelinating polyneuropathy with secondary axonal features and conduction block. CIDP was diagnosed and IVIG treatments were re-instituted every 4 weeks, along with a 4 week course of prednisone and gabapentin for pain. By May 2011, following internet searches, his mother became concerned that the boy’s symptoms might be related to Bartonella infection. Due to this concern, treatment with azithromycin was initiated for 10 days, and it was felt that this was associated with some improvement. Bartonella henselae IgM and IgG antibodies were not detectable at a 1:16 dilution (ARUP Laboratories, Salt Lake City Utah). By July 2011, despite medical therapy, pain and the right foot drop had worsened. When he had another relapse of muscle weakness, IVIG was administered on August 19, 2011, ten days prior to obtaining blood for additional Bartonella testing at the NCSU-CVM-IPRL. While awaiting test results, treatment with azithromycin for 30 days was reinitiated. The family felt that they noted almost immediate improvement of the patient’s symptoms and requested that the next IVIG treatment be delayed. 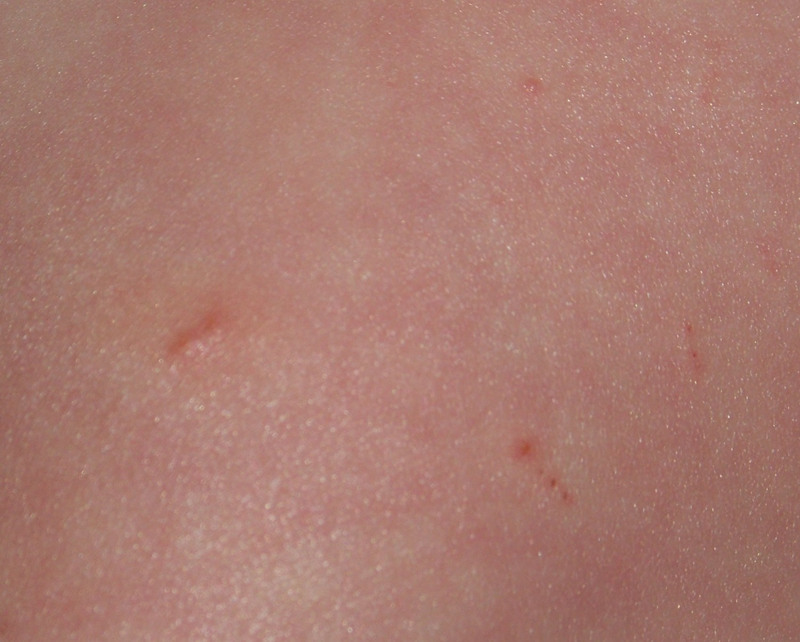 The boy was seroreactive to multiple Bartonella spp. antigens (see below, Table 1). A decision was made to decrease the dose of the IVIG to 1 g/kg and stretch the infusions to every 6 weeks with the first infusion at this dose being administered in October 2011. It was rapidly clear that this would not be successful as weakness and symptoms of burning pain in his legs returned. Infusions were then reinitiated at a dose of 2 g/kg every 4 weeks and then stretched to every 5 weeks in July 2012. The addition of prednisone was avoided due to concern that immune suppression might interfere with therapeutic elimination of the suspected Bartonella infection. After IVIG infusion was reinitiated at the full dose in late 2011 the patient’s muscle strength continued to improve. In May 2012, treatment with clarithromycin 125 mg twice daily and rifampin 150 mg twice daily was instituted. By July 2012, his deep tendon reflexes had returned and his strength was normal. As his pain was diminished, gabapentin was discontinued. Clarithromycin and rifampin have been well tolerated and both drugs were continued through November 2012. As of this writing, the child is ambulating normally, but still occasionally complains of stiffness and joint pain in his legs, particularly when he wakes up in the morning. As of January 31, 2013, polyneuropathy remains in remission and IVIG has not been administered since September 14, 2012. The parents report that the child is actively socializing with other children and now runs and plays like he had never done before. a Denotes 16S-23S ITS DNA sequence results. Bh = Bartonella henselae, Bh SA2 = Bh strain San Antonio, Bh HI = Bh strain Houston I.
Bvb I, II, and III = Bartonella vinsonii subsp. berkhoffii genotype I, II, and III. The mother, who takes care of her children and home full-time, was healthy prior to August 2008. She reported limited exposure to cats, wildlife or production animals, but did allow the family dog to sleep in her bed. Prior vector exposure was infrequent, but included fleas, ticks and mosquitoes. She did not recall being bitten by a spider. Subsequent to the spider infestation of the apartment, she developed fatigue, memory difficulties, headaches, irritability, eye pain, insomnia, chest pain, blurred vision, shortness of breath, rash and skin lesions and anxiety attacks. She had also experienced a loss of sensation in her legs, joint pain involving the shoulders and ankles, ear pain, and she frequently had a sore throat. In July 2009, she was examined due to an abdominal rash and shingles was tentatively diagnosed. The mother reported that her symptoms persisted between 2008–2011, without notable improvement or deterioration, during which time she sought care from her family physician, an otolaryngologist and a neurologist. Using blood and serum samples submitted in November 2011, infection with B. henselae (SA2 strain) was confirmed serologically and by PCR amplification and DNA sequencing. Between February and July 2012, she was treated with doxycycline 200 mg once daily and rifampin 300 mg twice a day. Following this antibiotic course, the mother reported substantial overall improvement and was almost symptom free. However, she continues to experience occasional irritability, confusion, dizziness, nausea, and pain involving the shoulder, hip and the bottoms of her feet. In August 2008, the older son, was examined by his pediatrician due to suspected spider bites and a rash. This child also had occasional exposure to cats and dogs and had exposure to fleas and mosquitoes. Subsequently, the boy complained of a sore throat, occasional ear pain and pain in the thigh region. In July 2009, the boy’s parents sought medical consultation with a dentist and surgeon for a swollen lymph node in the neck that had persisted for approximately 3 months. The lymph node regressed in size without therapy. During 2009–2012, the parents indicated that the boy experienced episodes of unexplained depression, irritability, and anxiety, but was otherwise healthy. Infection with B. henselae SA2 strain was confirmed by serology and BAPGM enrichment blood culture PCR in April 2012. Treatment with clarithromycin 250 mg twice daily was instituted in May 2012. On August 29, 2012, rifampin 300 mg twice daily was added to the treatment regimen, which has continued through November, without known adverse side effects. The sore throat, ear and eye pain resolved by October; however, during the fall 2012 school year, his parents reported increased irritability and rage episodes. In addition, the boy’s teacher indicated a lack of attention during class, and suggested that the child might have an Attention Deficit Hyperactivity Disorder (ADHD). After consultation with the attending physician and a psychiatrist, the parents declined therapy for ADHD. Bartonella serology and PCR results for the three family members and the dog are summarized in Table 1. The youngest son was seroreactive to B. henselae SA2, B. henselae HI and between August 29th and August 31st, there was a four-fold or greater increase in antibody titers to B. koehlerae and to B. vinsonii subsp. berkhoffii genotypes I, II, and III. Bartonella sp. DNA was not amplified from his blood, serum or BAPGM enrichment blood cultures. The mother was seroreactive to B. henselae HI, B. henselae SA2, B. vinsonii subsp. berkhoffii genotypes II and III and B. koehlerae. Bartonella henselae bacteremia was confirmed in the mother by PCR amplification from two BAPGM enrichment blood cultures. Based upon the amplified DNA sequences, the B. henselae strain in the mother’s samples were 99.8% and 100% similar, respectively to B. henselae SA2, (GenBank accession AF369529). The oldest son was seroreactive to B. henselae SA2 and B. vinsonii subsp. berkhoffii genotype II. Based upon the DNA sequences amplified from a blood sample and BAPGM enrichment blood culture sample, the oldest son was bacteremic with a B. henselae SA2 strain (99.2% and 99.6% homology with GenBank accession AF369529). The dog was seronegative to all Bartonella spp. antigens and no Bartonella DNA was amplified from blood or the BAPGM enrichment blood culture. Following BAPGM enrichment culture, no subculture isolates were obtained from any family member. When retested in November 2012, the youngest son was only seroreactive to the B. henselae SA2 strain and Bartonella sp. DNA was not amplified from blood, serum or the BAPGM enrichment blood culture. Bartonella henselae SA2 DNA (97.0% homology with GenBank accession AF369529) was amplified and sequenced from pooled woodlice (Table 2). Of the thirteen wood louse spiders tested, B. henselae SA2 DNA (100% and 99.3% homology, Gen Bank accession AF369529) was amplified and sequenced from two spiders and B. vinsonii subsp. berkhoffii genotype III DNA (98.6% homology, GenBank accession DQ059765) from one spider. As the family had moved from the apartment in which the bites occurred into a house, all of the spiders and woodlice were collected approximately 3 miles from the original suspected spider bite location. a Denotes 16S-23S ITS DNA sequencing results. Bh SA2 = Bartonella henselae strain San Antonio 2. Bvb III = Bartonella vinsonii subsp. berkhoffii genotype III. PCR amplification and sequencing of B. henselae SA2 DNA from two family members, woodlouse hunter spiders, and a woodlouse collected at least three years after family members were exposed to and the children were presumably bitten by similar spiders, was unexpected. To the best of our knowledge, this is the first report of the presence of Bartonella spp. DNA in spiders or in woodlice. Although B. henselae DNA was amplified from two spiders collected 13 months apart, a woodlouse, and from serum, blood and BAPGM enrichment culture samples from two family members, these results should be interpreted with caution, as it is not clear whether Bartonella was acquired at the time of the infestation and spider bites or whether the spiders and woodlice are accidental hosts for Bartonella spp. Since the woodlouse hunter spider is thought to feed exclusively on woodlice (a land-dwelling crustacean), the amplification of Bartonella DNA from spiders and woodlice suggests that the B. henselae-infected spiders fed on infected woodlice. Preliminary results (unpublished data) obtained in our laboratory indicates that washed woodlice can become PCR-positive for B. henselae after feeding on food contaminated with the bacteria. Although the length of time that B. henselae can remain viable within the environment has not been investigated to any degree, the bacteria remains viable in flea feces for several days. Whether bacteria ingested by woodlice remain viable, whether replication can occur, how long a Bartonella sp. can be retained within the isopod and whether a spider feeding on this crustacean can acquire or transmit Bartonella are subjects for future studies. Although the family experienced a flea infestation prior to moving into the new apartment, the family dog was not seroreactive to Bartonella sp. antigens and was PCR negative in blood and BAPGM enrichment blood culture, making the dog and potentially fleas a less likely source of B. henselae transmission to family members. To date, B. henselae has not been reported in bats to the author’s knowledge, no family member experienced a bat bite, and the bat exposure occurred several months before the onset of illness in the children and mother. Bartonella DNA has also been amplified from non-hematophagous arthropods, such as honey bees . Those authors hypothesized that honey bees ingested or acquired Bartonella organisms through environmental contact. In a recent report, a patient with neuroretinitis, a well documented ocular pathology induced by B. henselae, was diagnosed with bartonellosis following the bite (sting) of a bull ant (genus Myrmecia) in Australia . These authors suggested that B. henselae was probably transmitted to the patient via the stinger or mandibles, which provided a portal for bacterial entry into the skin. These recent publications indicate that physicians should routinely review a patient’s medical history for arthropod exposure. Based upon recent clinical and research observations, there appears to be a growing spectrum of arthropods that might serve as vectors for Bartonella species, thereby emphasizing the critical importance of and the need for additional experimentally controlled vector competence studies. In addition, localizaton of Bartonella sp. replication within arthropods, further documentation of other potential animal reservoirs, and the determination of trans-ovarian transmission in various arthropod species represent other important issues that require scientific attention. From a clinical perspective, the non-specific symptoms reported in the mother are consistent with previous reports of Bartonella sp. bacteremia in immunocompetent patients [4, 22]. Although less well characterized, the behavioral and neurocognitive abnormalities that predominated in the older son have also been reported in Bartonella bacteremic children [14, 23, 24]. Interestingly, and as reported in a small subset of patients in two case series, B. henselae DNA was only amplified from the mother's extracted serum samples, whereas B. henselae DNA was amplified from both blood and a BAPGM enrichment blood culture from the oldest son [4, 22]. The reason(s) for these observations remain unclear, but one study has reported progressive increases in serum DNA concentration in association with prolonged sample storage times in certain pathologic conditions . Bartonella DNA was never amplified from a negative control and DNA from a B. henselae H1 strain (not B. henselae SA2 as found in this study) was used as a positive control for all PCR testing, therefore laboratory contamination is an unlikely explanation for the PCR and DNA sequencing results reported in this study. Due to the fact that B. henselae induces a relapsing bacteremia in cats  and B. birtlesii induces a relapsing bacteremia in experimentally infected rodents , three blood samples obtained at approximately 2 day intervals were tested for each patient. For the mother and oldest son, only two dates yielded positive PCR results, potentially supporting the possibility of a relapsing pattern of B. henselae bacteremia in human patients. Also, as reported previously from our laboratory , there was considerable variability in the mother’s and youngest son’s antibody titers when serum samples obtained within a one-week time frame were tested using an IFA technique. The mother had low antibody titers with up to four-fold variations in four of the six Bartonella spp. antigens over a one week period. The youngest son had identical antibody titers to B. henselae strains H1 and SA2, but seemingly seroconverted to B. vinsonii subsp. berkhoffii genotypes I, II III and B. koehlerae. Administration of IVIG ten days prior to collection of the initial blood sample may well have influenced the youngest son’s serological results, particularly if IVIG has antibacterial properties . In contrast, the oldest son’s antibody titers were identical for all six antigens at all three time points. In the context of antigenic specificity, he had antibodies to B. henselae SA2 strain, but not to a B.henselae H1 strain. All serum sample sets from each patient were tested at the same time, by the same experienced technician, using the same conjugate and IFA antigen slides. Whether these serological discrepancies are related to sample collection and storage issues, a prozone effect associated with excess antigen, IVIG or other unknown factors requires additional investigation. Similar to the initial diagnosis in the youngest son, GBS due to neurobartonellosis was diagnosed in a 10-year-old girl, who was hospitalized due to progressive leg weakness . Seven days earlier, the girl had a self-limiting episode of fever and vomiting of 1 day duration. Four days later, she had difficulty walking, became irritable and complained of severe myalgia in the lower limbs. Laboratory findings were not remarkable. Nerve conduction studies identified decreases in motor conduction velocity and amplitude, consistent with axonal damage. An exhaustive search for known causes of GBS was negative. The girl was treated with IVIG for 5 days, and within two weeks her neurological status had normalized. There was no history of cat scratches, no palpable lymphadenopathy and no hepatic or splenic lesions on an abdominal ultrasound, however, because she lived in a rural area and played with kittens, B. henselae serology was requested. Her B. henselae IgG titer was 1:1024 and a specific IgM titer was “positive”, although a value was not reported. Her convalescent IgM titer was negative and the IgG antibody titer had decreased. To date, CIDP has not been associated with Bartonella infection. Although serology supported Bartonella exposure in the younger son, prior administration of IVIG complicates interpretation of his antibody titers and potentially his BAPGM enrichment culture PCR test results. It is possible that the source of Bartonella antibodies was the IVIG and that repeated immunoglobulin administration suppressed the level of bacteraemia below the level of successful PCR amplification. CIPD, also referred to as relapsing polyneuropathy, is a neurological disorder characterized by progressive weakness and impaired sensory function in the legs and arms. As was true in the boy in this report, CIPD is often diagnosed as the chronic counterpart of GBS. Prior infection or vaccination can precipitate GBS, and Campylobacter jejuni has become the most well recognized antecedent infection . Consideration should be given to B. henselae as an antecedent infection for GBS and CIPD. Physicians should pursue the medical history in these patients to determine if they have experienced animal bites or scratches or arthropod bites or stings. As scientists, physicians and veterinarians learn more about the medical importance of the genus Bartonella, there has been enhanced focus on known and suspected arthropod vectors. Because of their ability to reside within erythrocytes of a diverse number of mammalian hosts in conjunction with their diverse ecological niches, there is the potential opportunity for various Bartonella spp. to be transmitted by a variety of arthropod vectors. Several blood-feeding arthropods, Lutzomyia verrucarum, Pediculus humanus humanus, Ctenocephalides felis and some rodent fleas (Ctenophthalmus nobilis) have been confirmed to be competent vectors for transmission of Bartonella species . Tick transmission of Bartonella spp. has been a controversial subject in recent years [33, 34]; however, vector competence for tick (Ixodes ricinus) transmission of a Bartonella sp. was recently demonstrated experimentally, thus supporting the possibility that Ixodes sp. ticks are transmitting Bartonella spp. throughout the northern hemisphere . Previous studies from Europe and North America have documented the presence of B. henselae DNA in Ixodes ricinusIxodes scapularis and Ixodes pacificus. In conclusion, it must be stressed that there is an important difference between the vector competence and vector potential of arthropods from which Bartonella spp. DNA is amplified. The amplification of Bartonella spp. DNA in the woodlouse hunter spiders in this study does not provide definitive proof of vector competence and may merely represent an accidental infection associated with ingestion of Bartonella-infected blood from an infected host (isopod). Although B. henselae was amplified and sequenced from woodlouse hunter spiders and from their associated prey, the woodlouse, definitively establishing the source of bacterial transmission to this family was not possible. There appears to be a growing spectrum of arthropods that might serve as vectors for various Bartonella species. The location of Bartonella replication within arthropods, the documentation of other potential reservoirs, and the determination of trans-ovarian transmission in various arthropod species represent important public health issues that need to be resolved. As B. henselae SA2 DNA was amplified from woodlouse spiders and from a woodlouse collected nearly three years after the reported bites, it is not clear if the B. henselae infections in this family were acquired by spider bites or whether spiders and woodlice were accidental hosts. Also, additional studies are needed to determine whether B. henselae bactermia can predispose patients to GBS, CIDP and neurocognitive abnormalities. Written informed consent was obtained from the patient for publication of this report and any accompanying images. The parents contacted the investigators to be entered into an ongoing IRB approved research study and were full supportive of investigations described in this manuscript. Supported in part by the state of North Carolina, a grant from the American College of Veterinary Internal Medicine Foundation and a monetary donation from Bayer Animal Health. In conjunction with Dr. Sushama Sontakke and North Carolina State University, Dr. Breitschwerdt holds U.S. Patent No. 7,115,385; Media and Methods for cultivation of microorganisms, which was issued October 3, 2006. He is the chief scientific officer for Galaxy Diagnostics, a company that provides diagnostic testing for the detection of Bartonella species infection in animals and human patients. Dr. Ricardo Maggi has lead research efforts to optimize the BAPGM platform and is the Scientific Technical Advisor for Galaxy Diagnostics. Dr. Robert Mozayeni was one of the attending physicians for the patients described in this study and has recently joined Galaxy Diagnostics as the chief medical officer. All other authors have no potential conflicts. PM and RM performed the BAPGM enrichment blood culture and PCR testing of the patient samples, woodlice and spiders, performed DNA sequencing and alignments, and generated the first draft of the manuscript. SH is a pediatric neurologist who cared for the youngest son and drafted his case report. BRM is a rheumatologist who cared for the mother and oldest son and drafted their case reports. CT performed PCR testing of the woodlice and spiders. JB and BH assisted in sample acquisition and serological testing. EB coordinated various aspects of the investigation and helped to draft the final manuscript. All authors read and approved the manuscript.